Feast of St. Francis of Assisi, Friday, October 4th at the monastery. The Eucharistic celebration is at 9:30 am followed by conversation and refreshments in our hospitality area. Michael Joncas is presiding and all are included in the choir. 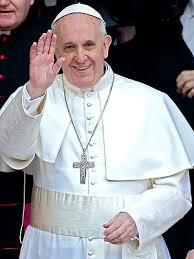 It is also the first feast day of Papa Francisco of Rome. The conversation of Papa Francisco with Antonio Spadaro, S. J. editor of La Civiltá Cattolica “A Big Heart Open to God” is available on www.americamagazine.org. In this interview Francis shows his big heart open to all God’s people. And that means you. Remember the words of Jesus, “Whatsoever you do to the least of my brothers and sisters (and the greatest), you do to me.” We are all one in this all inclusive global family. For every section of the interview of Pope Francis with Spadaro, you could match the stories and the teachings of Jesus. For example, when the pope is asked, “Who is Jorge Mario Bergoglio?” he responds with the story of the calling of Matthew the tax collector. Jesus looked on Matthew with love and chose him to be a disciple. That’s our Pope. Blessed feast day to all!